I love visiting Walt Disney Resort during Epcot’s International Flower and Garden Festival in spring. Located in Epcot, which is quickly rising to the top of my Disney priority list, International Flower and Garden Festival is gorgeous for the eyes and delicious for the tastebuds. During this seasonal event, in addition to the amazing restaurants at Epcot, additional food carts are added all over the park to showcase new and exciting foods. Read more about my Disney trips! Today, I am going to duplicate one of my very favorite festival offerings, the watermelon salad, shown above. 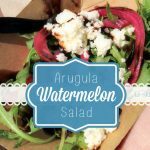 Located at the Florida booth during International Flower & Garden Festival, the watermelon salad is something I make time for when I am in Epcot. Y’all, it is that good and honestly, I don’t know why it took me so long to try and make it at home. This weekend when I was staring at a giant watermelon at the grocery store, I knew what had to be done. I made it, I ate it, and I’m going to make it again. This isn’t rocket science, but I broke down the recipe here. I had never pickled onions before so I used this easy recipe and it worked great! 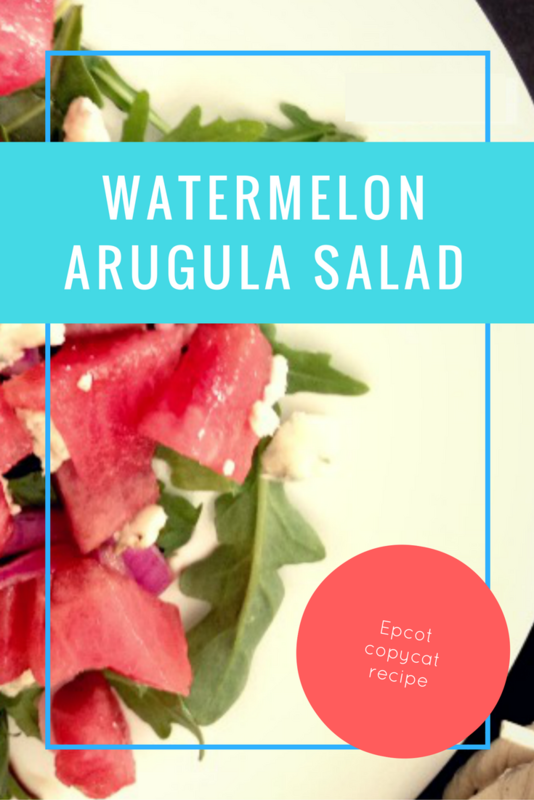 Watermelon Arugula salad is a great way to feel decadent on a hot day without all the calories. I hope you love it as much as I do! I left out amounts because I prefer to make this as I want to eat it. Other than pickling the onions, fresh is best! What is your favorite spring/summer salad? Want more? Check out my other great summer recipes! [WORDPRESS HASHCASH] The comment’s server IP (64.207.136.27) doesn’t match the comment’s URL host IP (64.207.139.74) and so is spam.